When you’re beginning the journey to find replacement windows or even entry doors for your Ventura home, you may be a bit confused about which steps to take first. As the old Chinese proverb goes: a journey of 1,000 miles begins with one step. While it may seem simple enough to take that first step into this brand new world of home improvement projects, taking the wrong step first can ultimately have an impact on the end result. Replacement windows and doors can offer homeowners an opportunity to completely transform any and all rooms in the house and it is also one of the top five projects homeowners can take on to actually increase the value of their home. However, it is often overlooked and many people incorrectly view it as an expense rather than investment. 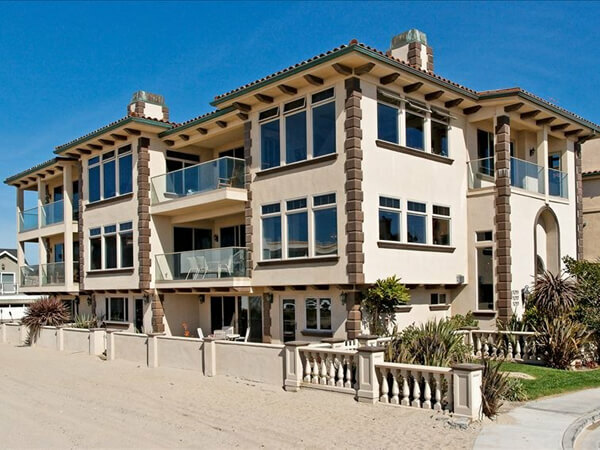 Quality Windows and Doors has been serving Ventura homeowners for more than 35 years. It is a top rated company with the Better Business Bureau and is fully licensed, bonded, and insured in the State of California. While choosing the right company is certainly one of the most important aspects of any home improvement project, it isn’t the first step you should take in this journey. Below we have listed some of the steps you should take that will help to ensure you make the right decision for your family, your home, and your budget. Determine the windows you want to replace. The average home in the United States has 14 windows and three entry doors, but your home may have far more than that, depending on the views, the style of the home, its architecture, and much more. Every single window you have is going to increase the budget you’ll need to plan for with regard to the total project itself. If you are planning to replace every single window in the house, that’s fine, but if you are looking at replacing windows in a few rooms to start, that helps you narrow your focus in the long run. Walk throughout every room in your house, take some time and evaluate the condition of the windows in each of those rooms and whether or not they take full advantage of any particular views of the outside world. Also, consider safety and security. If you have certain windows that are old, have worn-out latches, don’t seal properly, then these could be posing a particular risk to your home, family, and possessions. Once you determine which windows you want to replace, it’s time to move on to the second step. No matter how much money you bring in every year, you have a specific budget for various home expenses. This home improvement project will likely require a significant investment, usually several thousand dollars at a minimum. The average cost of a replacement window is $250 to $700. Entry doors can cost several thousand dollars apiece, especially if you’re talking about an ornate front door. Sit down and determine how much you are comfortable spending on this particular home improvement project. Don’t think about it as an expense, as that would guide you toward trying to save as much money as possible which would also cause you to miss out on an incredible opportunity to increase the value of your home. Once you establish your budget, stick to it. Avoid the temptation to add a little bit more once you begin understanding more about features with regard to doors in replacement windows. The right company is going to provide you the best selection of the highest quality products on the market. The right company should also offer you a range of options, from vinyl windows to wood windows, from casements to picture windows, from bay windows to double hung windows, and much more. Quality Windows and Doors has been serving Ventura homeowners since 1980 and has one of the best selections of the highest quality replacement windows and entry doors throughout the region. They have won the Ventura County Star Reader’s Choice award for 8 consecutive years, including last year (2014). The right company is going to provide you the best customer service and support, the best selection, and the most knowledgeable, experienced sales representatives and installers to help this home improvement project move along as smoothly as possible. The quality of the replacement windows is going to have a significant impact on not only your comfort and enjoyment about being at home, but also its overall value. There are few home improvement projects that can actually increase the value of a home and replacing windows with high quality ones is one of them. Also, quality windows will help to improve energy efficiency, thus saving you money on your utility expenses throughout the year, from winter through summer. Perhaps the best piece of advice anyone could offer a homeowner looking at this particular improvement project for the first time would be take your time. Yes, you may see a particular sale advertised for various windows. You might see summer or winter, spring or fall fast approaching and figure now is the time to get it done. You might feel like this is a burden rather than an opportunity. Whatever you do, don’t force yourself to rush any decision. Making a decision like this is incredibly important and will impact your home for many years to come. Take your time. The moment you feel as though a sales representative is rushing you, it’s time to step back. If you want to avoid being rushed, if you want the best selection, and if you want the best service and support before, during, and after you have made your selection, Quality Windows and Doors is the right place for you.